Gordon & Brenda Cantrell’s brother-in-law introduced Gordon to the winemaking hobby back in 1997. The winemaking process was fascinating to Gordon, who enjoyed the challenge of fermenting fruit into wine and researching the various processes to enhance flavor. 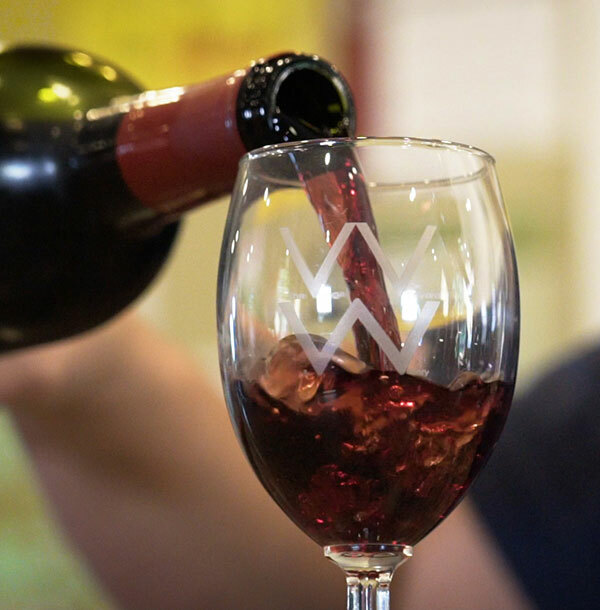 Two gallons of blackberry wine and twelve years later, a quaint winery has evolved on the northeast corner of Camp Point. Looking for an alternative to the corn and soybeans raised on his small acreage outside of Camp Point, Illinois, Gordon and Brenda decided to plant three acres of grapes in 2001. For several years the Cantrell’s sold their grapes to area wineries. After vineyards experienced years of bumper crops throughout the region, grapes no longer were the commodity first experienced. That was another turning point, and the Cantrell’s found it perfect timing to enter the retail market. Family and friends play a key role in planting, tending to, and harvesting grapes. They have been there at every turn. For example, mom works in the vineyard weeding, pruning, and picking. Grandchildren help pick grapes and do odd jobs around the vineyard (you’ll notice the grandchildren when looking closely at the label). Friends have been found working long hours. Grapes don’t wait – when it’s time to harvest it is important to have a crew ready. Family and friends have been there at every turn. While owning and operating The Village Vineyard has been a dream come true – it has not been without complications. The Cantell’s are full of stories. For example, what would you do if a few tons of grapes showed up six hours later than expected – if you’re Brenda or Gordon, you would stay up until 4:00 a.m. to ensure they are properly processed. That’s one of many stories to be told. Take a leisurely drive to Camp Point, sample the wines to select your favorite, and listen to some of their stories – or create your own. It’s all about enjoying great wine and time with friends.